sarah flip I am validating that this deal works as described. 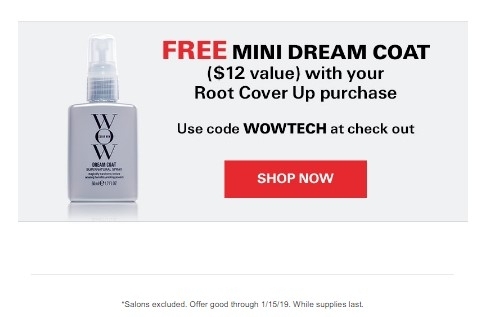 Free Mini Dream Coat With Your Root Cover Up Purchase at Color WOW. Promo code WOWTECH. This is a limited time offer.